DOHR is an award winning HR practice based in Elstree, Hertfordshire, provising HR consultancy and support to businesses across London and the Northern Home Counties. With a team of five HR Advisors, DOHR offers business owners a one stop shop for all their HR needs from recruitment, to a contract of employment and an employee handbook, from absence management and disciplinaries to redundancy and retirement. DOHR makes it easy and cost effective for you to comply with employment legislation. For information about how they can help you, click here, call 01923 504100 or email enquiries@dohr.co.uk. 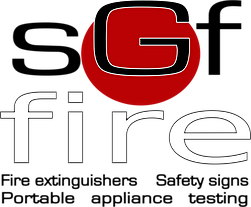 SGF Fire is a highly recommended contractor providing Portable Appliance Testing (PAT) and Servicing for Fire Extinguishers. With a personal service which is second to none, SGF Fire is owned and managed by Fire Protection Engineer Sebastian White, who has a wealth of experience in Fire Extinguishers and Electrical Safety. To get in touch with SGF Fire, call 020 3818 5969, or email sebastian@sgffire.co.uk. Notary E xpress is an outstanding law firm with offices in London and Norwich, providing legal services 7 days a week. The team at Notary Express are experts in all manner of civil law matters, from property conveyancing to wills and probate. They offer fixed price quotes, fast and professional services. To get in touch with Notary Express click here, call 01603-462824 or email contact@notaryexpress.co.uk.